ROBIN, CHARLES, businessman, judge, and jp; baptized 30 Oct. 1743 in St Brelade, Jersey, son of Philippe Robin and Anne Dauvergne, shopkeepers; d. unmarried 10 June 1824 in St Aubin, Jersey. Although Charles Robin and his elder brothers, Philip and John, were orphaned when Charles was about 11, they all managed to acquire a good education. Philip married the daughter of the seigneur of Noirmont and subsequently filled important civil offices on Jersey. John and Charles, however, turned to the North American fisheries, in which their uncles had been occupied for many years. 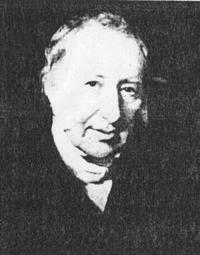 By 1763 John was a ship’s captain engaged in the Newfoundland cod fisheries. Charles was never master of a ship, but he became well versed in nautical matters. In 1765 the three brothers joined James Pipon de Noirmont, Philip’s brother-in-law, and Thomas Pipon de La Moye, John’s future brother-in-law, to form Robin, Pipon and Company. That year the firm sent a brig to reconnoitre the fisheries of Cape Breton Island, and in 1766 Charles investigated the former French fisheries on Baie des Chaleurs. Having found abundant fish and excellent beaches for dry-curing on the Gaspé shore, he returned the following year to fish and to trade for timber and furs with the Acadians and Indians around Paspébiac (Qué.). Since the conquest Baie des Chaleurs had become a site of fierce competition among Nova Scotians and New Englanders, and also Quebec merchants, such as Jacques Terroux* and William Smith, agent for the firm of Moore and Finlay [see Hugh Finlay*]; the losses suffered had been high. In 1768 Robin returned to Baie des Chaleurs with two vessels, only to have them seized and sold with their cargoes by customs officials who had been informed by some of Robin’s competitors that he had not complied with a seldom enforced act obliging Channel Islanders to clear their vessels from England. The outcry provoked by Robin, Pipon and Company led to repeal of the act the following year, but the young firm received only about £250 compensation for its staggering loss of £2,700 sterling. Robin had a dogged faith in the trade from Baie des Chaleurs even though, one after another, his competitors abandoned it. The limitless supply of cod easily found a market in Catholic Europe; by the 1770s he was shipping several thousand quintals (112 pounds each) of dried cod to Portugal and Spain, as well as small amounts of salmon, furs, cod oil, and wood to England and Quebec. In exchange for these products he imported goods for sale to fishermen and salt for curing. About 1770 a separate firm, Robin and Company, was formed to exploit the Cape Breton fisheries, and John was put in charge; Charles had an interest in it. By that year he was resident agent for Robin, Pipon at Paspébiac, where he set up his headquarters and built flakes for curing. Another establishment was subsequently built at Percé. Initially Charles dealt only with local fishermen (mostly Acadian), but in 1774 he and John brought more than 100 exiled Acadians to settle on Baie des Chaleurs and Cape Breton Island [see Jean-Baptiste Robichaux*]. They also brought over Jersey workers to remedy a chronic shortage of manpower, the principal problem faced by fishing merchants operating in the region. The patient building up of the Robin enterprise was almost completely undone early in the American revolution. In 1776 John Paul Jones destroyed most of John’s operation on Cape Breton. Two years later American privateers came to Paspébiac, captured one of Charles’s ships, which they loaded with fish and furs, and plundered and burned his stores; Robin was captured momentarily but escaped into the woods. 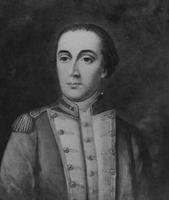 He returned to Jersey and served for the duration of the revolutionary war as an officer in the militia, which in 1781 helped to repel an attempted invasion by the French. Charles estimated the Robins’ direct losses from the revolution at £6,000, exclusive of those resulting from their inability to trade. Robin returned to Baie des Chaleurs in 1783 as a partner in a new firm, Charles Robin and Company. He held about one-eighth of the shares in the business, most of the remainder being owned by members of the Robin and Pipon families. He also held a one-quarter interest in the Philip Robin Company, which took over the assets of Robin and Company on Cape Breton Island; they were placed under a hired manager since John Robin remained in Jersey. Charles immediately rebuilt the stores, wharfs, and living quarters at Paspébiac. Although the capital resources at Robin’s disposal were perhaps no greater than those of the dozen new energetic competitors he faced, he ultimately won a near monopoly of trade in the region through a combination of experience, cunning, good contacts, hard work, and careful planning. From experience Robin knew the locations of the best fishing grounds and drying beaches. He had also acquired a perceptive understanding of the Acadian fishermen and, as a Jerseyman, he spoke and wrote their language. As well, in travels in his early years he had made useful contacts with important international fish buyers. Robin’s cunning use of a truck system of credit provided the company with long-term stability in exports. Cash was seldom used; rather Robin credited the year’s catch against the equipment, merchandise, provisions, and salt that he had advanced to the fishermen. Once hooked by credit, the fishermen found it virtually impossible to escape their indebtedness, and Robin was ensured of a dependable labour force. The system also allowed Robin to obtain dried cod at a price no higher than the amount the fishermen needed to live on. Also important in ensuring Robin’s success after 1783 were his contacts. Philip handled the European end of the business reliably and kept him supplied. With Francis Janvrin, a Jersey-based operator on Baie de Gaspé and a minority shareholder in Charles Robin and Company, he forged an agreement of non-competition for fish and of mutual service in the carrying of supplies and mail. Aware of the value of political influence, Robin obtained the support of local officials, particularly in efforts to acquire and retain the beaches and woodlots necessary to a large-scale fishing operation. 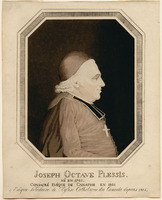 In 1784 he persuaded the lieutenant governor of the Gaspé, Nicholas Cox*, not to grant land immediately around Paspébiac to some 400 loyalists, and the following year he gained title to some of it for his firm. In the winter of 1787 Robin walked to Quebec to advise the provincial government on the cod fisheries; with the support of Cox, then deeply in debt to Robin’s company, the government passed an ordinance in 1788 that benefited the firm in several ways, particularly by making it impossible for others to acquire large beach properties. 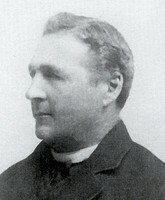 Cox’s successor, Francis Le Maistre*, was a Jerseyman and friend of the Robin family, but poor health prevented his being of material assistance. The seat for Gaspé in the Lower Canadian House of Assembly was held by Edward O’Hara, a man sympathetic to Charles Robin and Company and for whom Robin campaigned actively. Robin himself held a number of posts of considerable importance locally: he was a judge of the Court of Common Pleas around 1788–92, justice of the peace from 1788, and a member of the land board for the district of Gaspé from 1789. The last position gave him a say in the examination of requests for land grants and the issuing of location tickets. Although Robin’s influence resulted in the opening of a seasonal customs office at New Carlisle, near Paspébiac, he was unable to obtain bounties on exports or exemption from duties on imported goods, benefits enjoyed by the fishing industry in other colonies. Still, he was content to be protected by his allies from adverse government action; neglect of the district of Gaspé by the government at Quebec enabled him to build a monopoly unhindered. Robin worked hard to exploit his opportunities. With the exception of his business trip to Quebec in 1787, he resided uninterruptedly on Baie des Chaleurs from 1783 to 1802. He lived a frugal, orderly existence, never married, and had few interests beyond his business. He was the principal policymaker in Charles Robin and Company and the general manager of its day-to-day operations. This authority to make on-the-spot decisions allowed him to exploit the Gaspé fisheries more successfully than his competitors, most of whom were based in London or Quebec. In 1793, for example, he was in a position to seize the opportunity of purchasing the seigneury of Grande-Rivière, which had a good beach close to rich fishing grounds; it became Robin’s third major post after nearby Paspébiac and Percé. Planning, at which Robin excelled, was conservative. Risky ventures were avoided and high profits were not considered imperative; it was deemed more important to maintain a slow, steady growth in exports and a reputation among European importers for reliable delivery of good quality fish. Increasingly Robin specialized in dry-cured cod, forgoing diversification into timber, furs, mackerel, or salt-cured cod. No innovator of techniques of production or marketing, he laboured to make conventional methods function efficiently. He sought, however, to build. a self-sufficient, vertically integrated business. Most fish was obtained in trade from local fishermen but some was caught by the company’s own employees; their catch was cured on company beaches by men brought in every summer from the Quebec area. Company ships also took the fish to market and brought in most supplies. In the 1790s Robin established a shipyard at Paspébiac; in addition to shallops and small coastal schooners, every two years the yard turned out a vessel of about 200 tons especially designed to carry fish to Europe. As a result of integration and the truck system of credit Robin gained a near monopoly of dried codfish exported from the north shore of Baie des Chaleurs. His success may be attributed in part to his caution; in the organization of his fishing operations and his relations with the fishermen Robin to a large extent carried over, with refinements to increase profits, practices employed by Jersey concerns before him and by French traders in the Gaspé prior to the conquest. The combination of these many factors also enabled Robin to ride out the French revolutionary war, which finished off his remaining competitors. In May 1794, however, the French navy captured three of his ships en route for Paspébiac with supplies and merchandise. That autumn another, carrying 4,900 quintals of dried fish, was taken off Spain. The war brought a shortage of shipping (which the Paspébiac shipyard alleviated for him) and impaired his ability to get cargoes to market in the season of greatest demand. Eventually the war closed Robin’s most important outlets, Spain and Portugal, but he was able to forge temporary ones in New England and Lower Canada. Indeed Robin was able to maintain his exports at pre-war levels, seldom sending less than 13,000 quintals a year. Robin retired to Jersey in 1802, when it was thought that the war had been ended by the Treaty of Amiens. By then Charles Robin and Company owned five ships, a large establishment at Paspébiac – including the shipyard, a small farm, wharfs, stages, storehouses, and lodgings for about 100 employees – a subsidiary post at Percé, and the seigneury of Grande-Rivière; the size of the company’s profits is not known. Robin’s chief investment in the firm had been his life rather than his money. As a manager he had received a modest annual salary of £150, and in 1800 he estimated the value of his shares to be about £2,250; he did not leave a large estate on his death in 1824. His goal in life had been the continuance of the firm that bore his name, and to that end he had trained his nephew Philip Robin since 1783 and tutored another, James Robin, for a number of years. Philip took over as manager of operations on Baie des Chaleurs in 1803 and James as director in Jersey about 1808. Charles had trained them well, and his goal was attained: the firm dominated the economy of Baie des Chaleurs for another century. A detailed bibliography for Charles Robin may be found in David Lee, The Robins in Gaspé, 1766–1825 (Markham, Ont., 1984). The following sources and studies are of particular interest: Judicial Greffier (St Helier, Jersey), Judicial greffe probate registry 1819, 4: 378. PAC, MG 23, GIII, 24; MG 28, III18; RG 68, General index, 1651–1841: 276, 324, 534. Jules Bélanger et al., Histoire de la Gaspésie (Montréal, 1981). R. E. Ommer, “From outpost to outport: the Jersey merchant triangle in the nineteenth century” (phd thesis, McGill Univ., Montreal, 1978). David Lee, “La Gaspésie, 1760–1867,” Canadian Hist. Sites, no.23 (1980). A. G. Le Gros, “Charles Robin on the Gaspé coast,” Rev. d’hist. de la Gaspésie (Gaspé, Qué. ), 2 (1964): 33–43, 93–102, 141–51; 3 (1965): 39–45, 77–84, 148–55; 4 (1966): 195–204. Mario Mimeault, “La continuité de l’emprise des compagnies de pêche françaises et jersiaises sur les pêcheurs au XVIIIe siècle: le cas de la compagnie Robin,” SH, 18 (1985): 59–74. David Lee, “ROBIN, CHARLES,” in Dictionary of Canadian Biography, vol. 6, University of Toronto/Université Laval, 2003–, accessed April 26, 2019, http://www.biographi.ca/en/bio/robin_charles_6E.html.